Police in Jackson, Mich., are investigating why a 72-year-old woman kept the body of a friend in her house for more than a year and a half after he died, reportedly cleaning him and watching TV with him. Police found the mummified body of Charles Zigler, 67, on Friday, covered with blankets in a living room recliner, in the home of his long-time friend Linda Chase, according to local media reports. "He just went to sleep," Chase told WILX-TV. Officers went to Chase’s house after a family member became concerned for his welfare and called police, Lt. Chris Simpson told mlive.com. It's unclear why the family member, who was not identified, waited so long to call. Simpson did not immediately return a telephone call to msnbc.com on Wednesday for comment. An autopsy determined Zigler died of natural causes -- chronic obstructive pulmonary disease -- around Christmas 2010, according to the medical examiner. Chase admitted to police that she cashed Zigler's Social Security checks and kept his body, mlive.com reported. Police are investigating and will submit a report to the Jackson County Prosecutor's Office for review and possible charges, including fraud, Simpson said, according to mlive.com. The prosecutor’s office said Wednesday the police were still reviewing the case. Chase acknowledged to reporters she should have called authorities when Zigler died, but said she wasn’t ready to let go and didn’t want to be alone. “That’s morbid what I did. It really is. It’s horrible,” she told WLNS-TV. “I knew I should have called the ambulance. I know that. I know that in my heart. I didn’t do it to be evil,” she told WLNS. 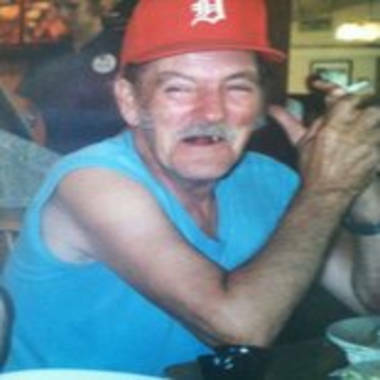 For more than a year after he died, Chase cleaned him, talked to him and watched NASCAR races on TV with him, mlive.com reported. Walter “Wally” Zigler said his father had been ill for years. He had emphysema and used an oxygen tank to breathe, the son told mlive.com. Walter Zigler learned of his father’s death on Tuesday. “That wasn’t right to leave him lay like that,” he told mlive.com. Walter Zigler, who lives in Jackson, said his father had worked for years in a Jackson shop and received Social Security and pension checks and veteran benefits. He said he tried more than once to visit his father but Chase “wouldn’t let me see him,” mlive.com reported.